Fasta Pasta, one of the most successful fast food chain in Australia, has come back to my attention. 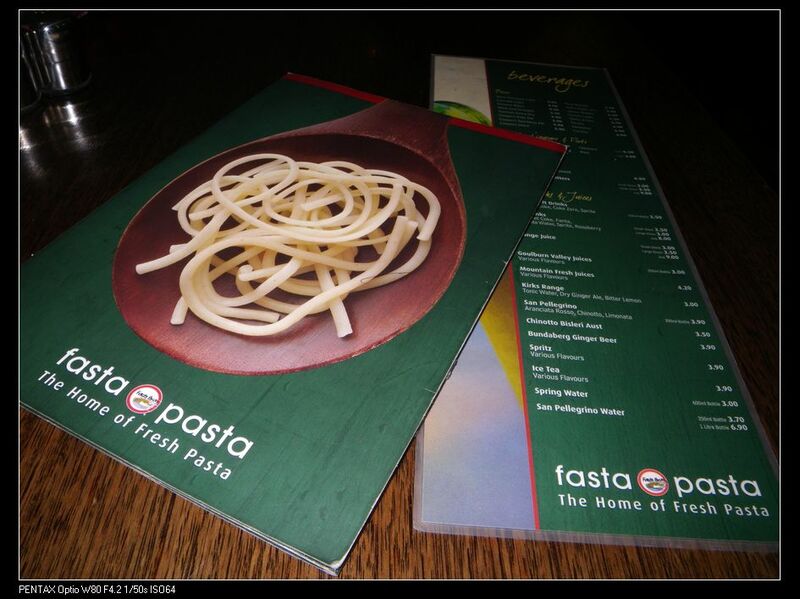 When I was in high school many years ago, a group of us used to go to Fasta Pasta every Friday night just before going to pubs. The Pirie Street restaurant was still open at that time. So many years later, when I try to think about things that happened then, I can still feel the excitement and happiness. So, I asked my wife one day, “Can we go to Fasta Pasta? I missed it already.” “Sure, why not!” However, this time, I started to doubt about my good memories of this place. 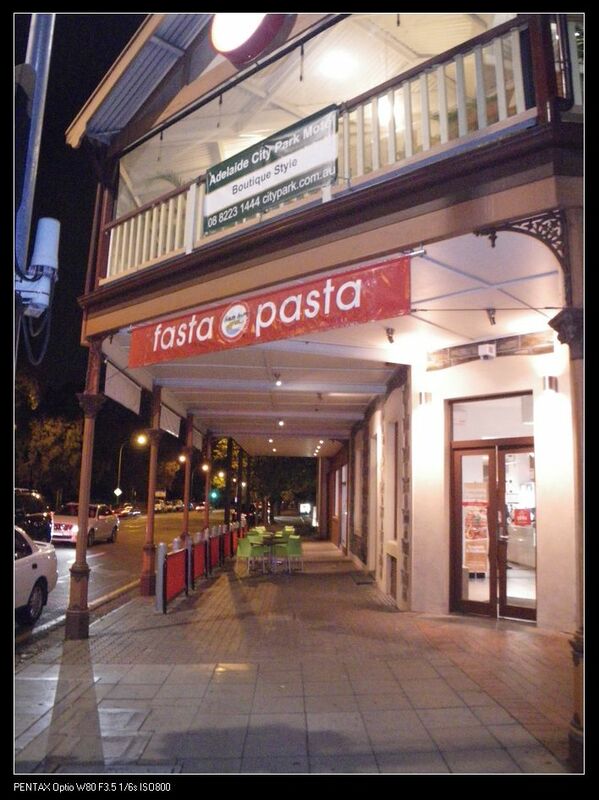 Originated in Pirie Street here in Adelaide, Fasta Pasta has soon become a vast food chain across Australia and is an “overnight success” in business. The Pultney street restaurant was moved to this site a couple of years ago and is always full of people. This is a good how good the business is, but please note my word, good business. “Being a good business, doesn’t it mean the restaurant is good in food quality?” Someone may ask. From my personal perspective, well, I say NO! The inside of the restaurant is huge with some outdoor dining areas. Used to be a pub back in 2005, the place has a standard pub setting and the decor is standard cafe type. After entering the place, people need to grab a menu and order at the front counter. Once ordered, the food can come out relatively quick, ie about 5 mins. The downside of this is the food quality. I know I am not dining at a 5 star restaurant but at least the food should be red-hot :D. Anyway, let’s look at the dishes. Linguine Del Mare $15.90. As many ppl has already know, the pasta came out just in 5 mins. It was very quick, but the outcome wasn’t very good. 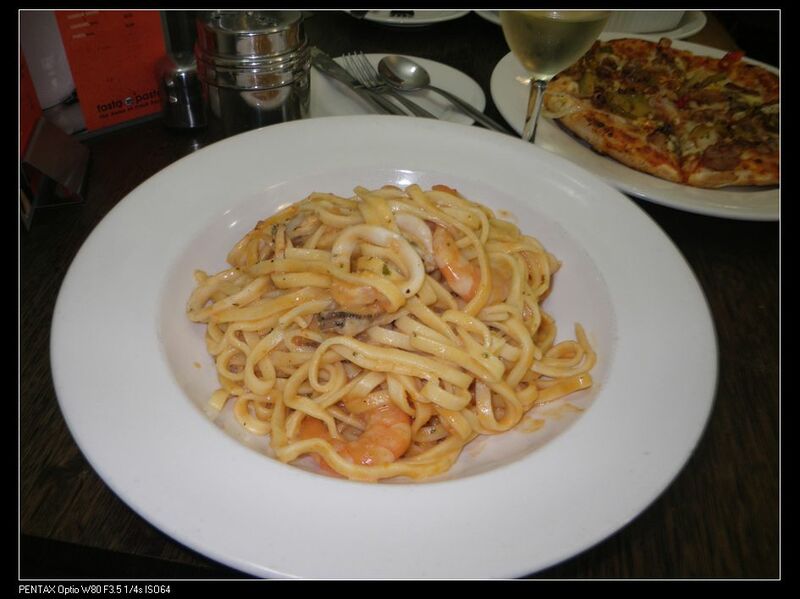 The dish was overly dry, from the linguine to the seafoods. There were no juices in the dish for what so ever reasons! It seemed to be a mixture of pre-cooked linguine and dry seafood marinara! Also need to mention, the seafood had a smell of ammonia which indicated that the seafoods were frozen, not fresh. Cacciatore Pizza $14.90. The pizza is better than the linguine. 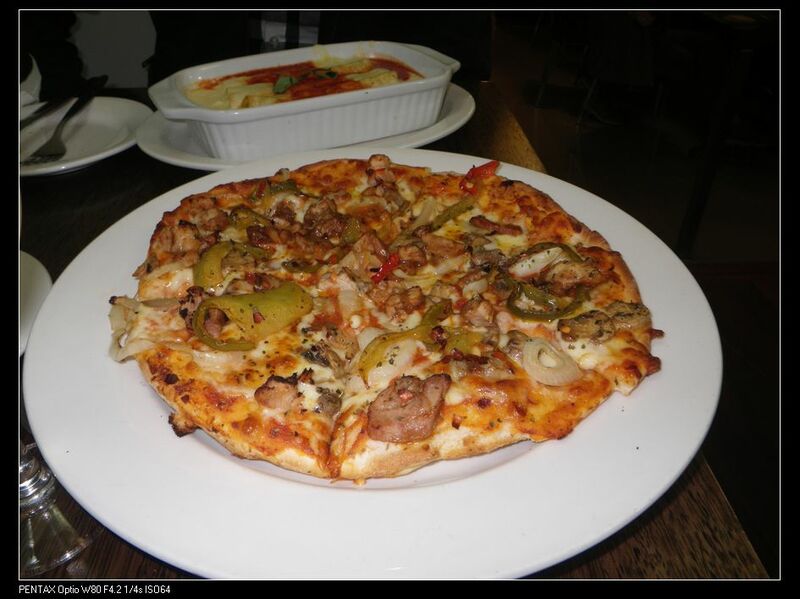 Chicken, chilli, mushroom slices were well spread over the pizza. The base was thin and crispy. However, the taste was standard, ie. a good taste but nothing outstanding. Please forgive my bad memory everyone. I can’t remember the name or the price for this dish. 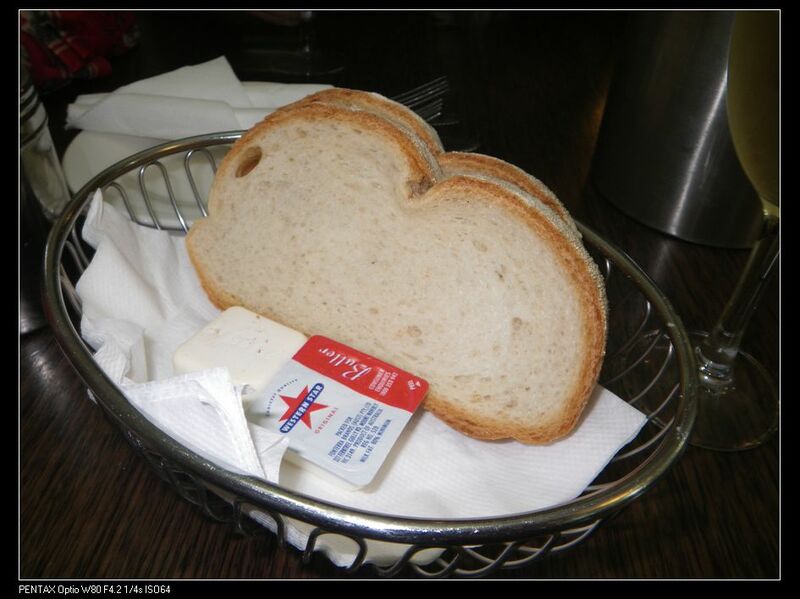 All I can remember is that this dish was gooood and was offered for a limited time in winter. 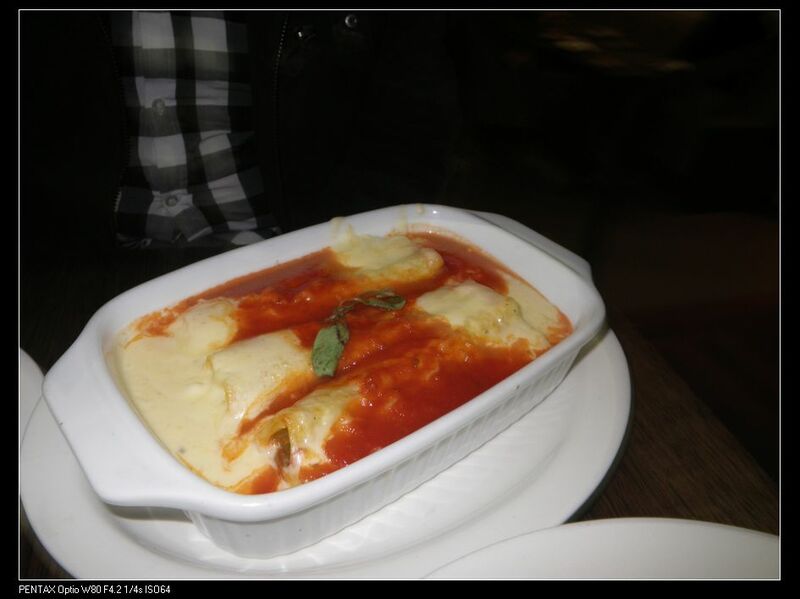 Beef mince was wrapped in pasta and the roll was cooked and soaked in a creamy juicy tomato sauce. The dish was rich in flavour with a bit of spices. The tomato sauce was sweet and sour and was a good accompany with the beef mince. The cream added extra fancy dairy taste to the already rich flavour. Feels good on the palate! 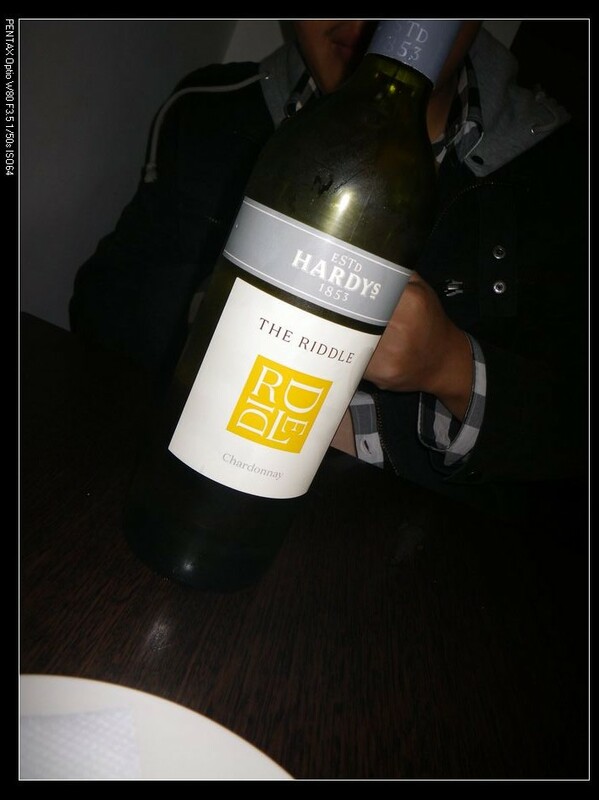 To compliment the meal, a bottle of the Hardy’s Riddle Chardonnay was ordered. Nice, fruity and crisp! The overall dining experience was okay with majorly disappointing dishes and this restaurant surely has a big space to improve. They need to focus more on their food qualities and tastes! Well, I am picky on food and services. Something that I rated low does not necessarily mean other ppl doesn’t like them. It’s just not up to my standard and expectations. Thanks for dropping by anyway. Enjoy Christmas!! Howdy. I just want to leave a good short statement and let you know that in fact I’ve been focusing on your page for quite some time. Keep up the very incredible task and I’m going to be returning back again and again! 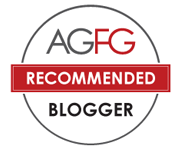 Valuable blogger, Thank you for uploading this important article. I found it handy. Kind regards !! Maybe there is a issue with the Style sheet here? I can’t make out anything here without highlighting it with the mouse, because it’s all yellow. I’m using Chrome if it makes a difference. If you could message me with a few hints on how you made your website look this good, I would be thankful!